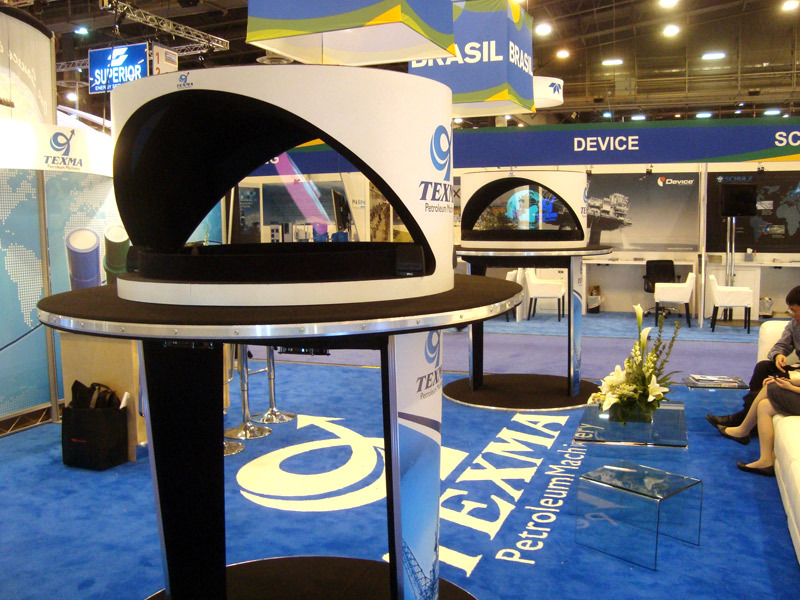 3D Hologram Projectors are a popular attraction at trade shows and special events. 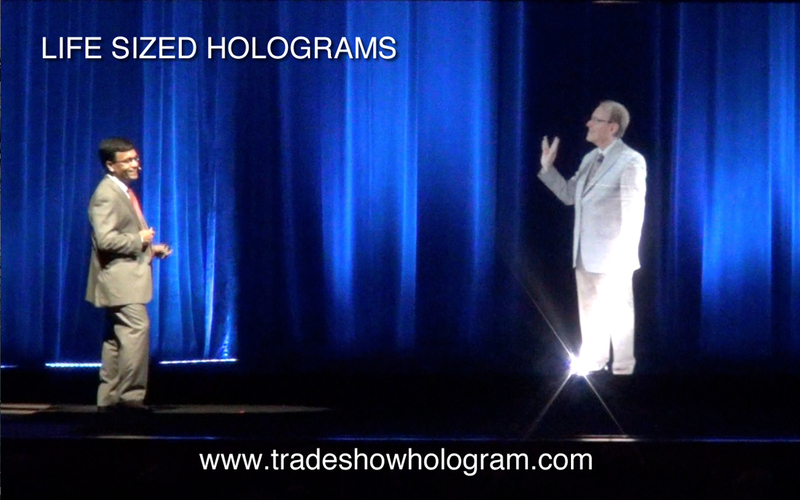 Corporate Illusionist Timothy Drake created Trade Show Holograms , a company that provides hologram rentals to companies exhibiting at trade shows. 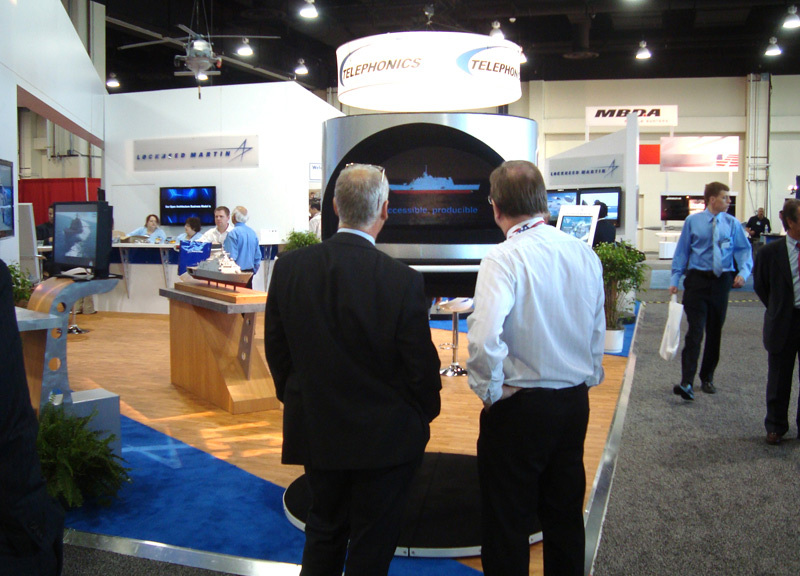 Here Lockheed Martin utilized a 3D Hologram Projector to highlight special elements of their LCS Littoral Combat Ship at a Military Trade Show. 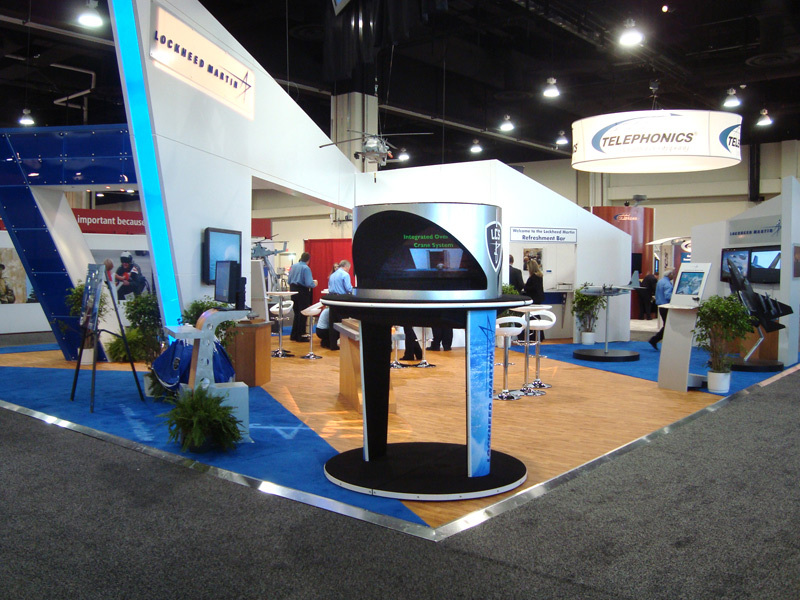 In the competitive environment of trade shows exhibits that attract attention are in demand. 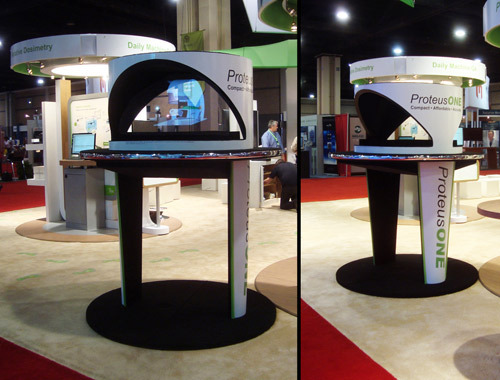 Hologram projectors are a popular way to make your product or message stand out at a trade show. 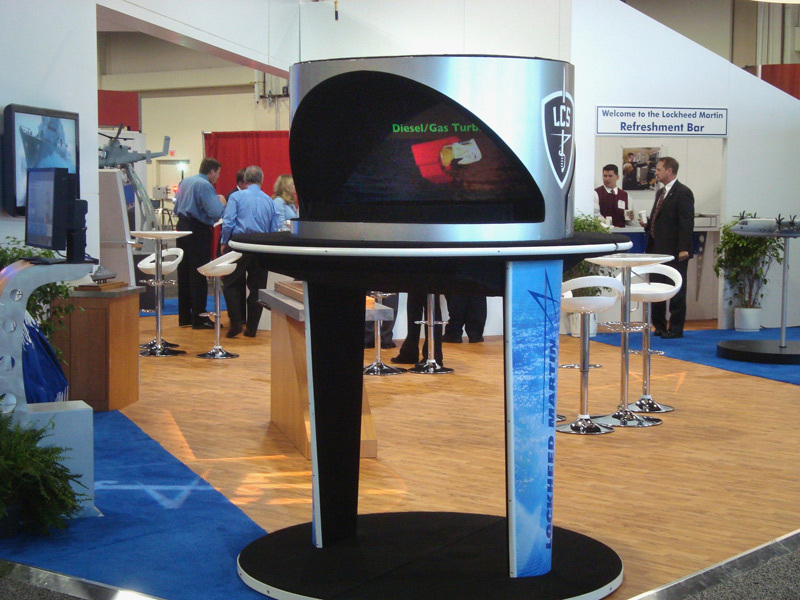 Here Lockheed Martin uses a hologram projector designed by Timothy Drake of Trade Show Holograms. 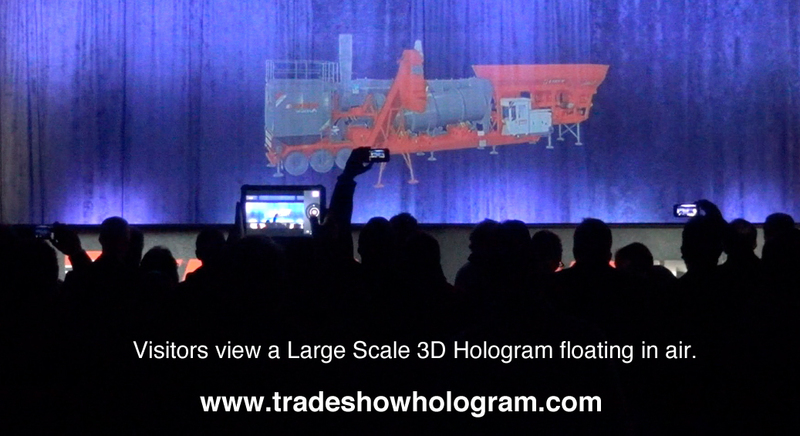 The hologram projection creates the illusion of a 3D video presentation floating in mid air. 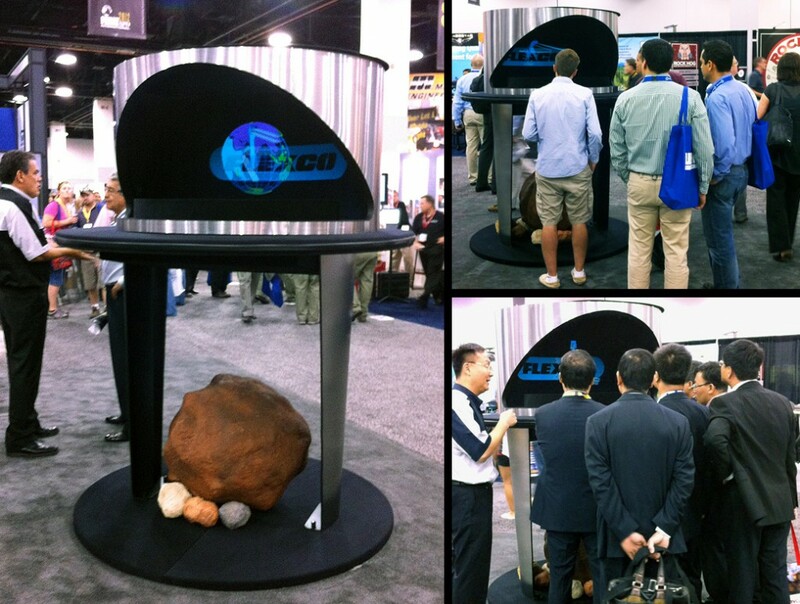 This unique attraction draws visitors to a trade show booth for a closer look. 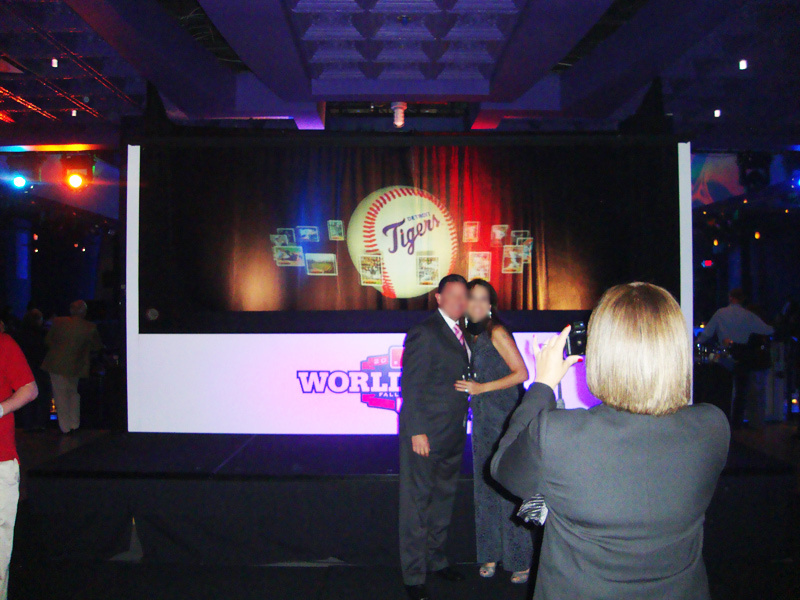 Magician Timothy Drake of Trade Show Holograms recently provided a large scale 3D holographic illusion for the Detroit Tigers World Series Party hosted at the Motor City Casino in Detroit Michigan. 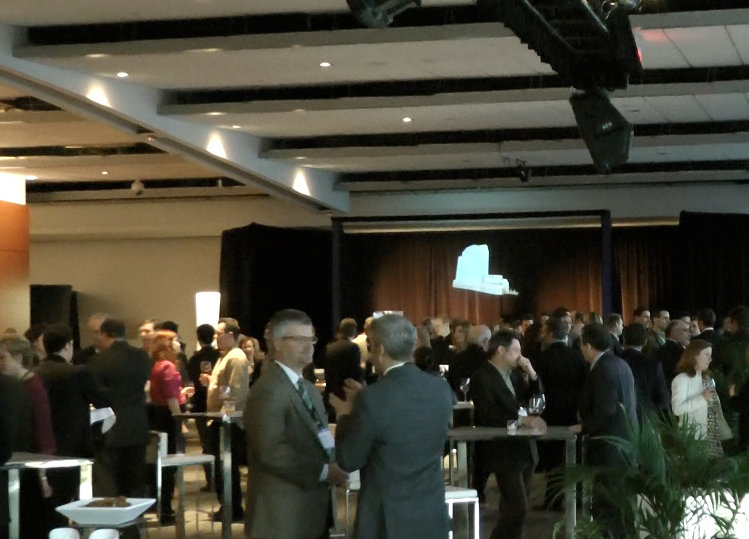 The hologram projection featured floating holographic images to amaze visitors to the special event as they entered the room. 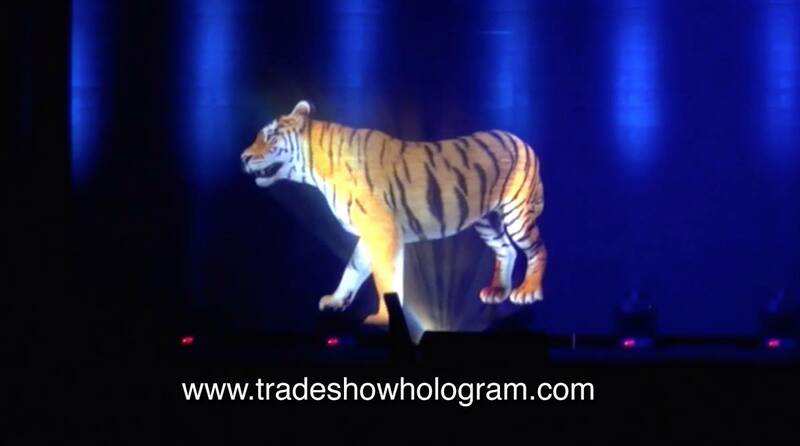 Drake has featured other holograms at corporate events and trade shows across North America. The Detroit Tigers celebrated making it to the World Series in Baseball with a party held at the Motor City Casino in Detroit MI. 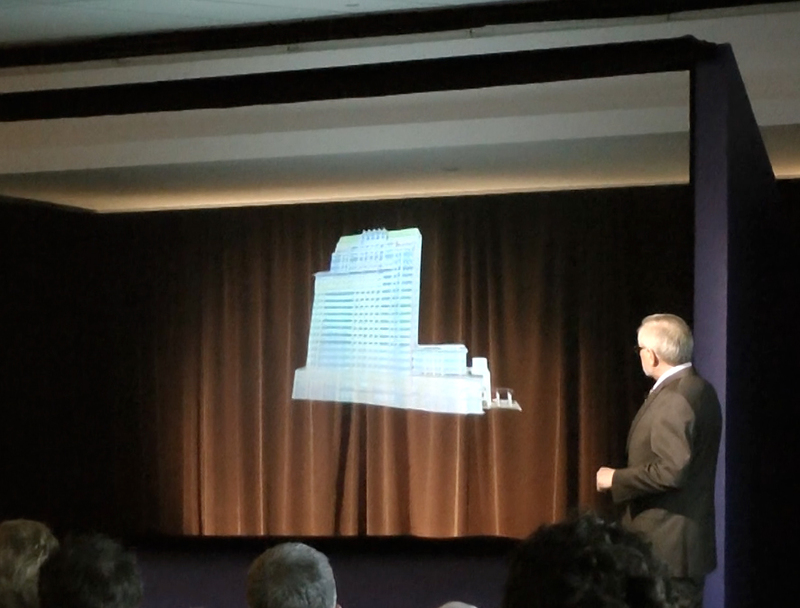 A large scale 3D Hologram designed by Magician Timothy Drake was on display at the front entrance to the main party room. 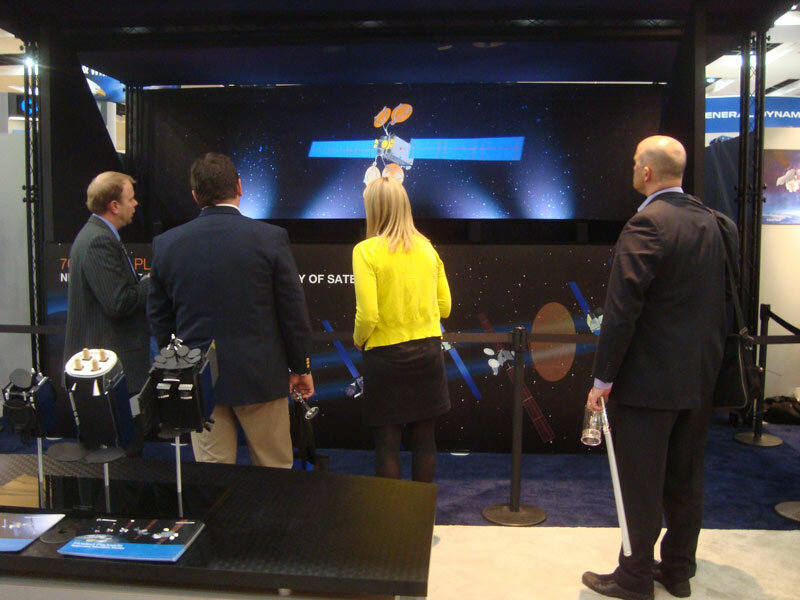 Many visitors attending had their photos taken in front of the Holographic projection. The optical illusion proved popular with guests. 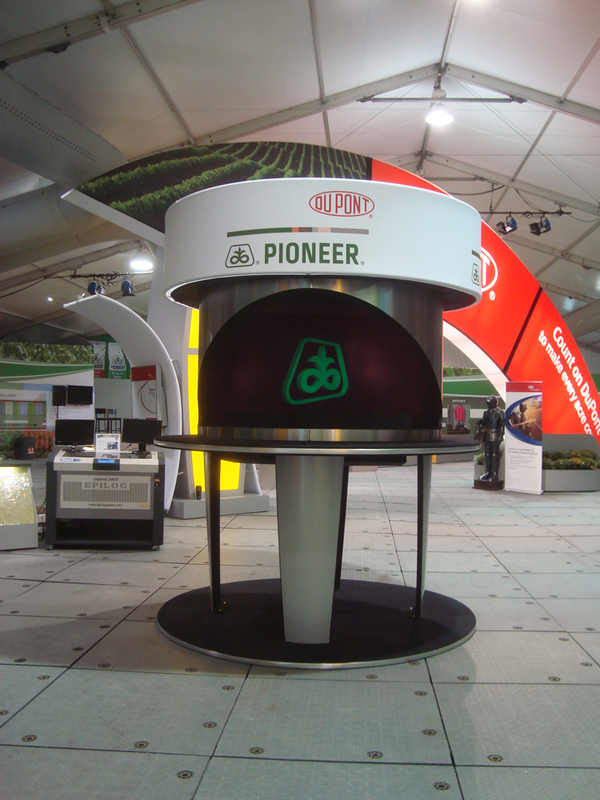 Large scale holograms like these are often featured at corporate events and trade shows across America. 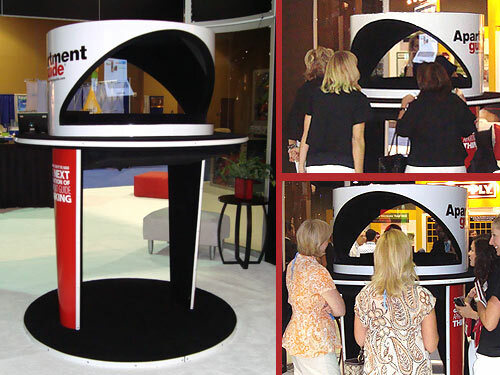 Holographic projector kiosks are a popular eye catcher when it comes to attracting visitors to your trade show booth. Magician Timothy Drake has developed a series of hologram projection kiosks that project full color moving video in holographic form. 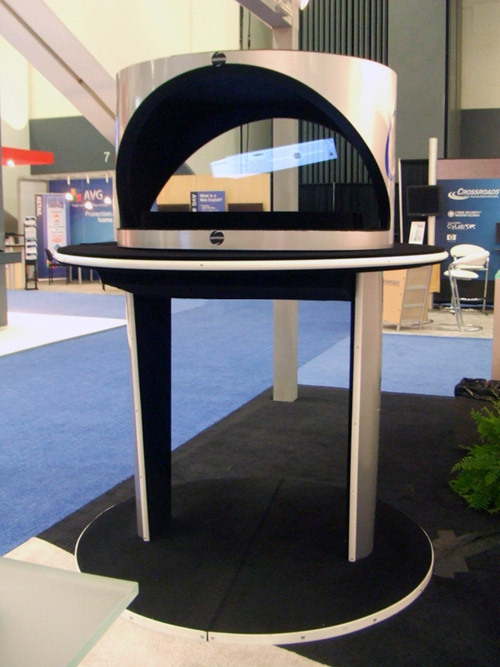 Holographic images appear to float in mid air in these customized hologram kiosks. Drake originally used the magical effect to project ghostly images when he created the Shriners Haunted Mansion back in 1999. 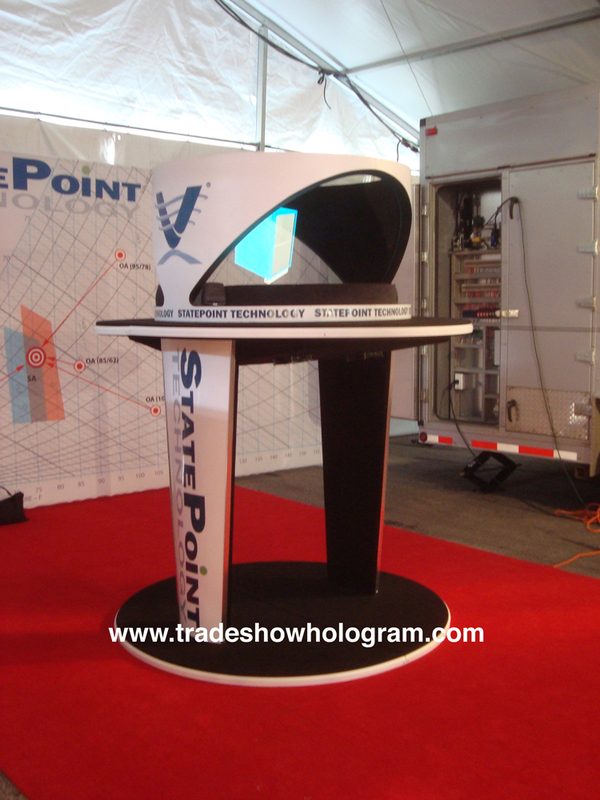 The holographic illusion projections proved so popular that Drake developed a portable version that can be displayed in the limited space available at trade shows across North America. 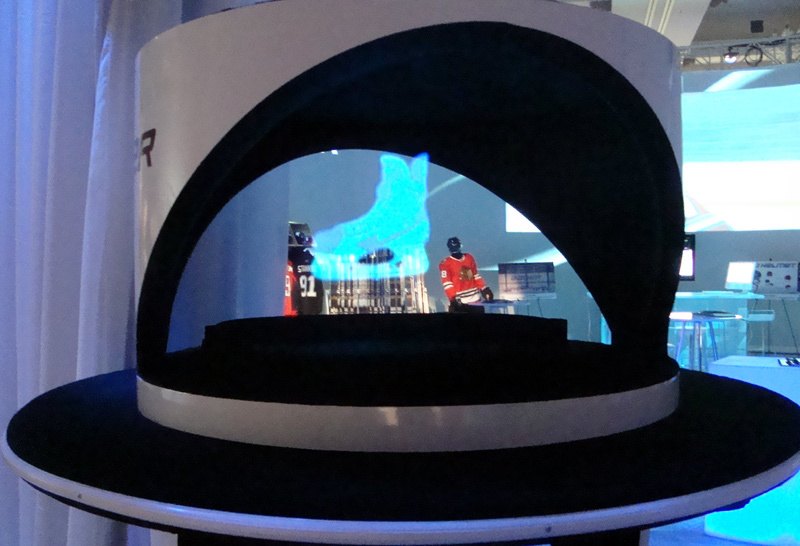 Holograms, both large and small have been displayed at corporate press events in both the US and Canada. 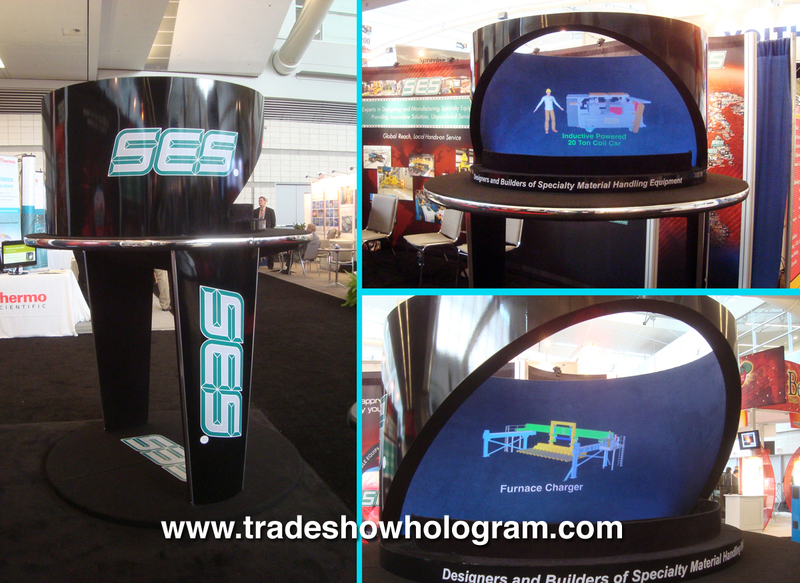 3D full motion hologram projection at trade show. 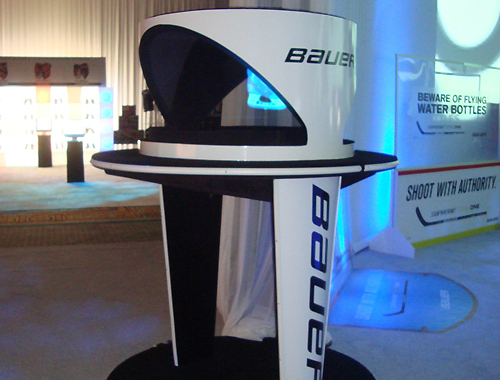 Holographic projectors are a popular eye catcher at trade shows. 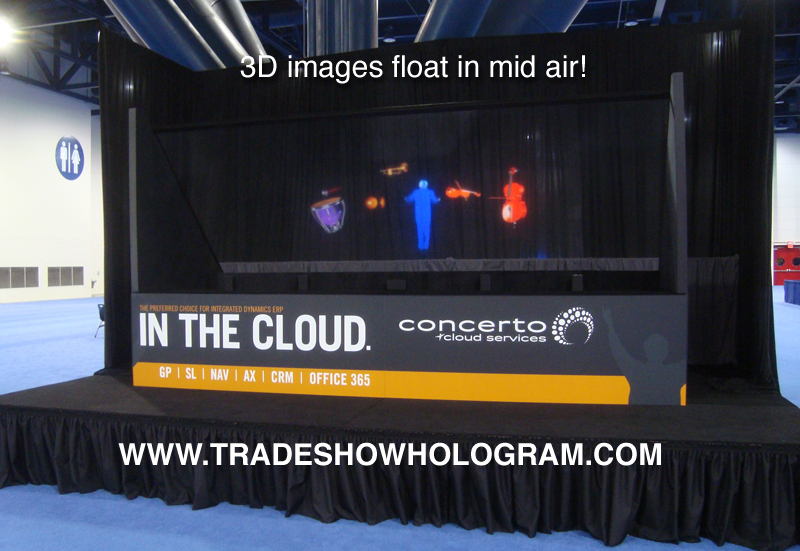 This 3D optical illusion floating in mid air requires no special glassed to enable the viewer to see a 3D effect. 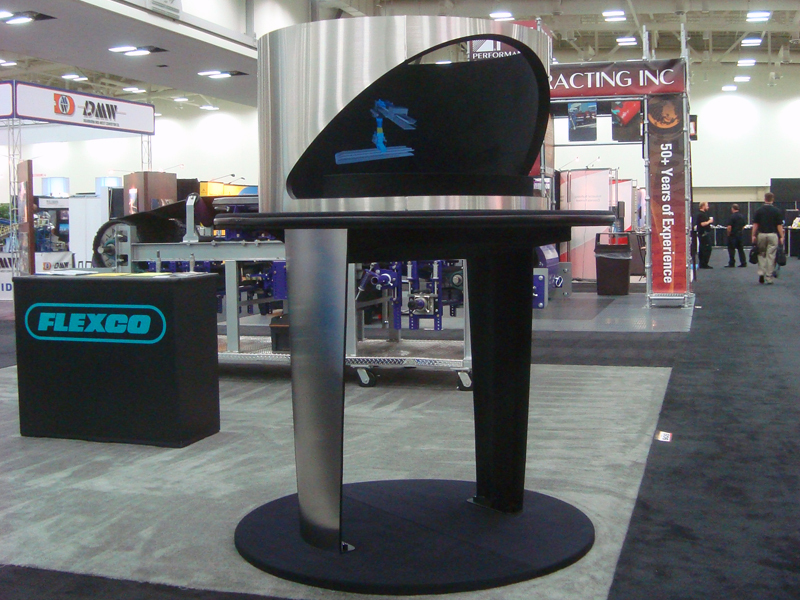 Illusionist Timothy Drake designs and manufactures these holographic displays and has sold, rented and exhibited them at trade shows and special events across North America. 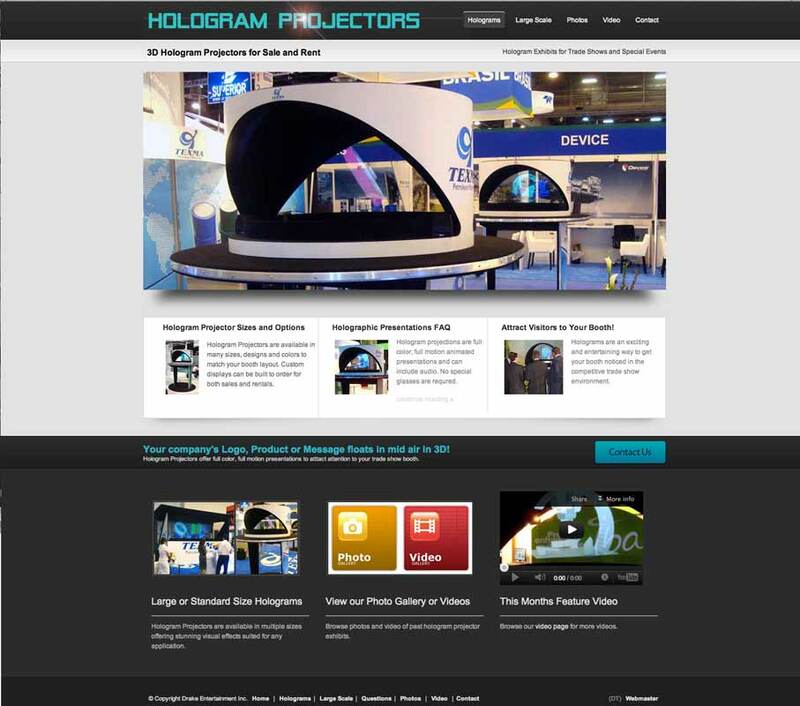 Drake has created both large and small versions of the holographic projections as seen here. 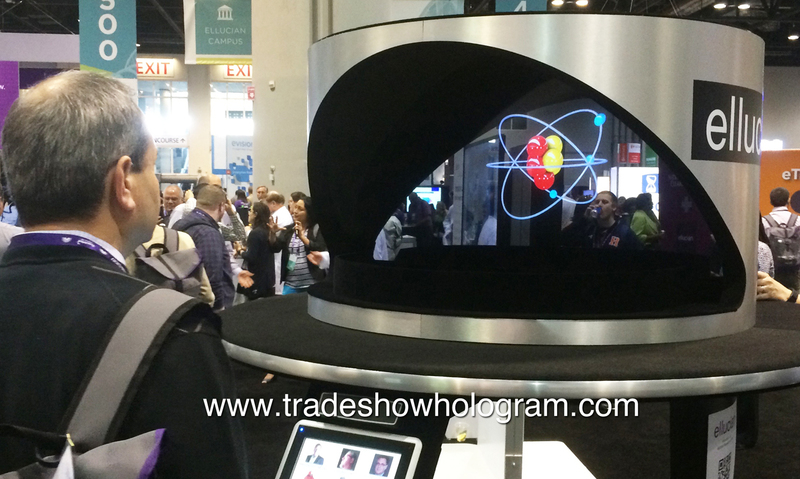 Checking out the 3D Hologram at a trade show. 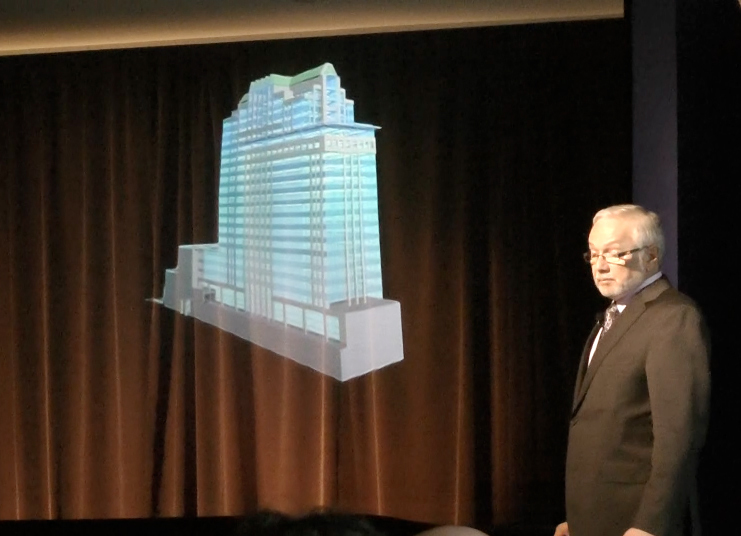 Magician Timothy Drake designed this large scale hologram as part of press conference in Toronto Ontario. 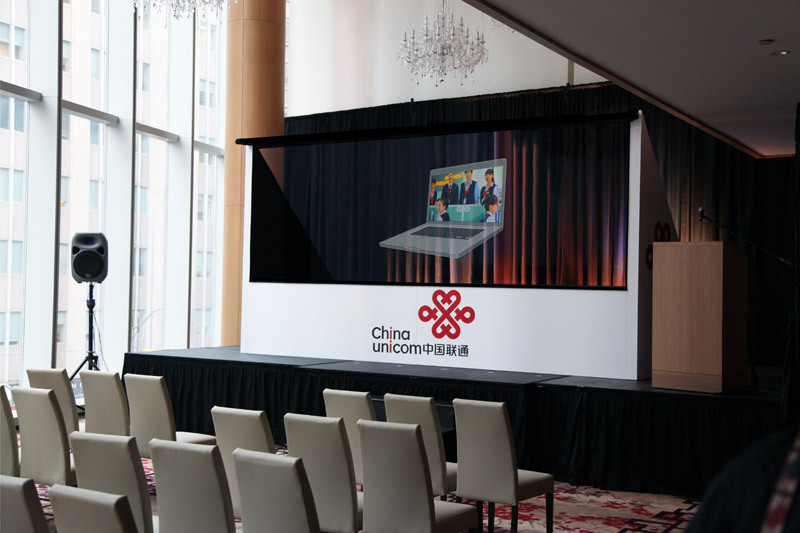 The 3D holographic illusion featured a presentation introducing China Unicoms’ corporate expansion into the Canadian market with the opening of a location in Toronto. 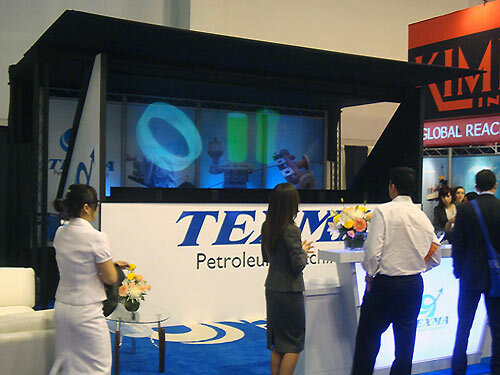 Large scale hologram projections such as the one presented here are often used at trade shows, press conferences and special events. 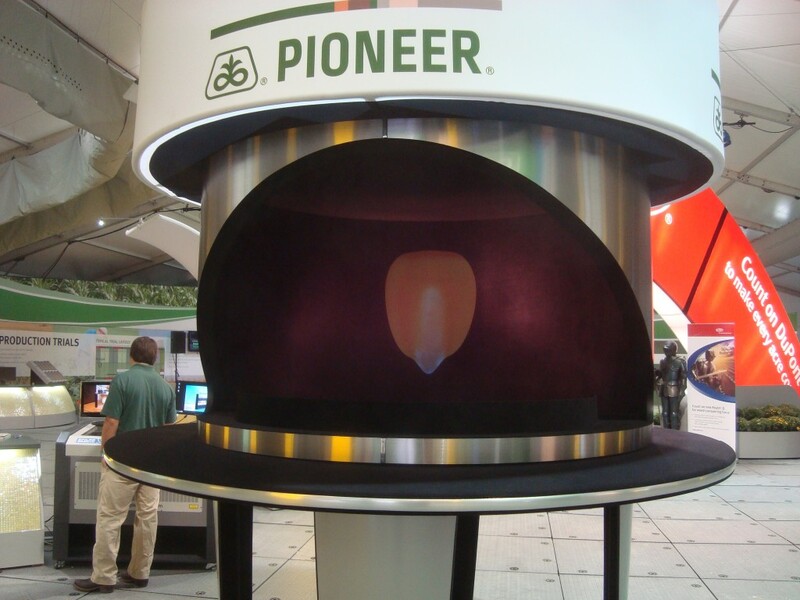 Magician Timothy Drake recently developed a mid sized holographic projection for a corporate client attending the Farm Progress Show in Boone Iowa, 2012. 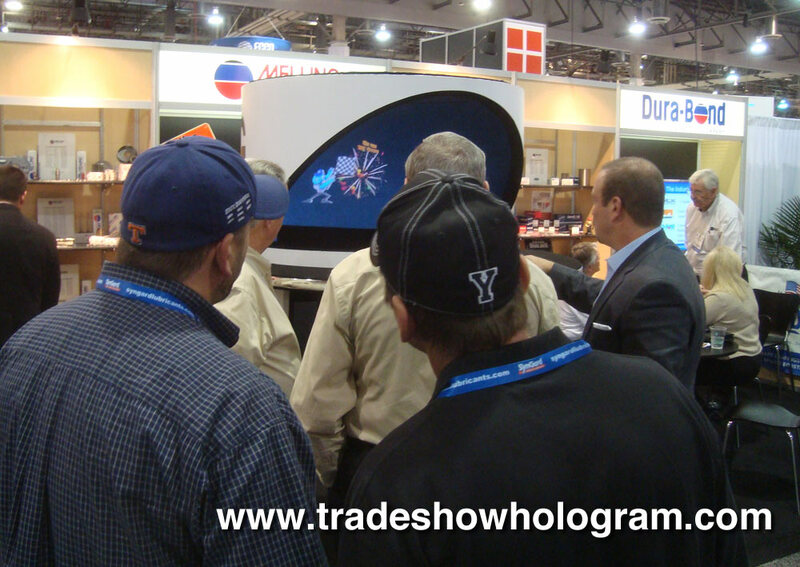 Drake holographic effects are popular attention getters at trade shows across North America. 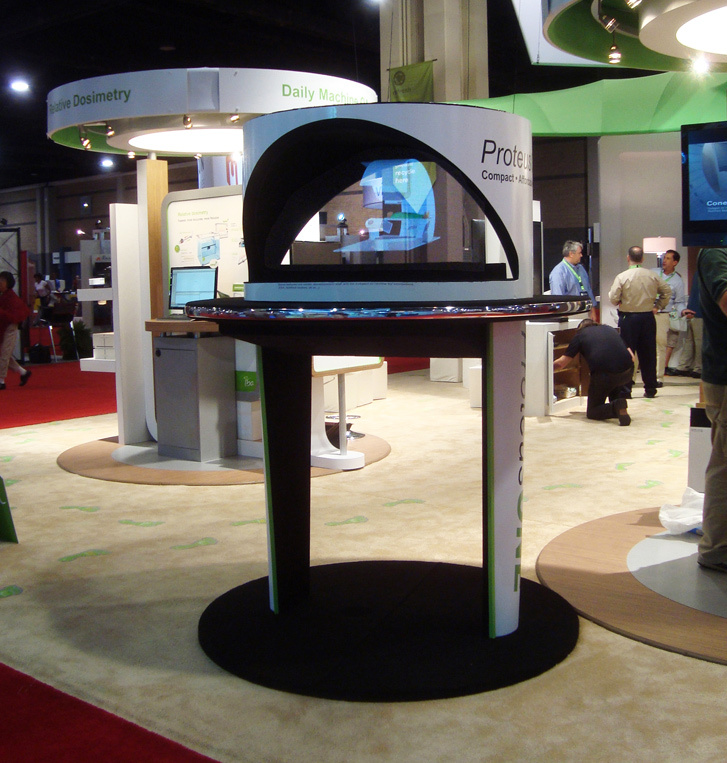 Often exhibitors at trade shows have a message or presentation they would like to get across to booth visitors in a unique and memorable way. 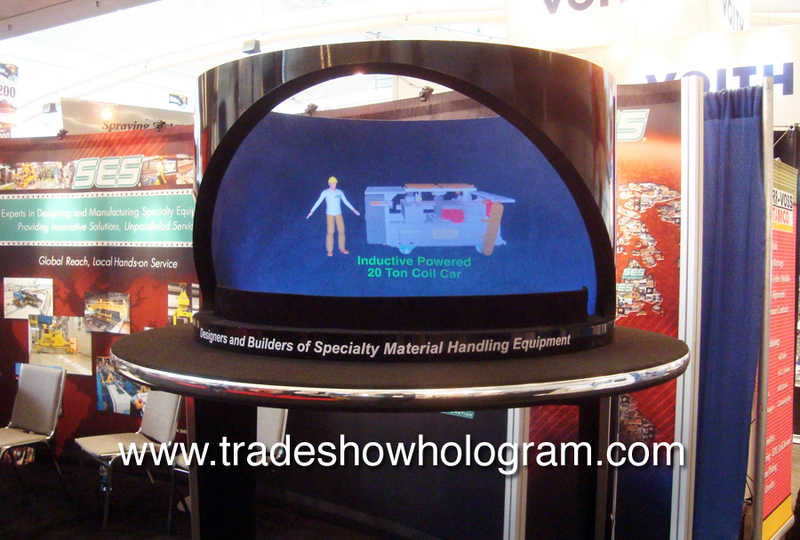 One such Trade Show Holograms client decided on a virtual spokesperson in as a hologram to explain the highlights of their business at a trade show in Orlando Florida. 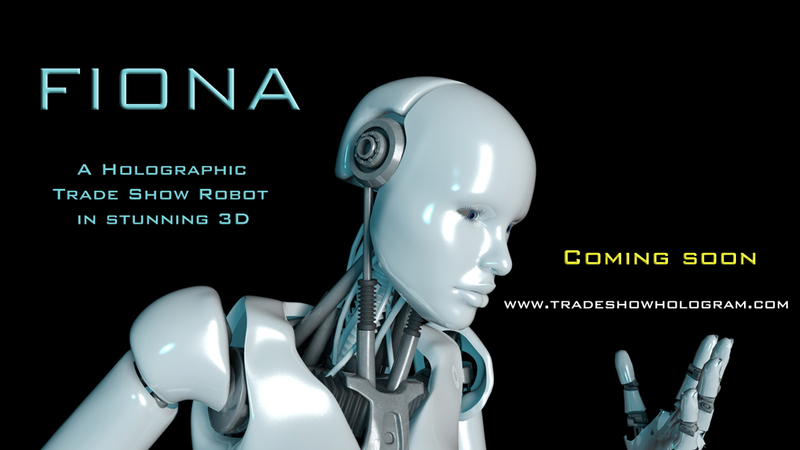 The effect could also be presented as a life sized virtual spokesperson.